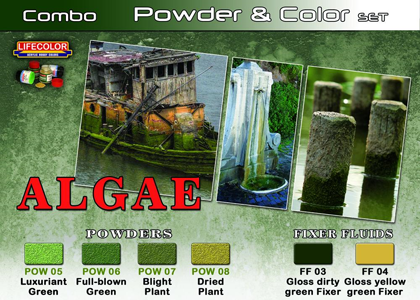 This is the Lifecolor SPG-07 weathering set, with powders for ‘Algae’. 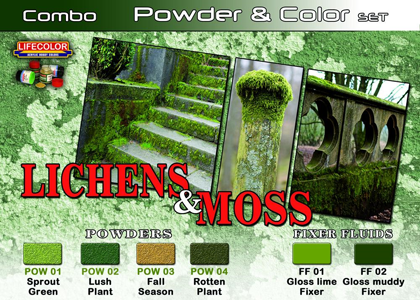 This is the Lifecolor SPG-06 weathering set, with powders for ‘Lichens and Moss’. 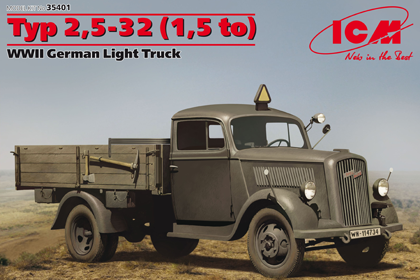 This is the ICM 35401 kit in 1/35 scale, of the ‘German Light Truck, Opel Blitz 2,5 32’. Only 698 exemplars of the one and a half ton model of the new Opel Blitz were made from December 1930 to June 1931. The vehicle was propelled by a 40 HP four-cylinder engine with a cylinder capacity of 2594 ccm. Some vehicles of this type were procured by the Reichswehr with Krankenkraftwagen (Kfz.31) – ambulance – car bodies. These were taken over by the Wehrmacht, later. 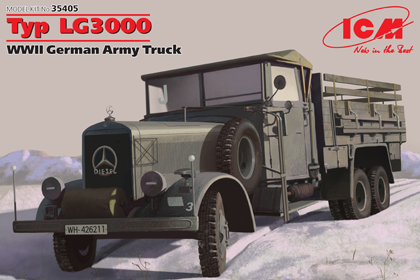 This is the ICM 35405 kit in 1/35 scale, of the ‘German Truck, Mercedes-Benz LG3000’. At first, Daimler-Benz was not involved in the development of any three-axle cross-country lorry in the 3 ton class. Generally, Daimler-Benz maintained to be present in all relevant motor vehicle classes. Therefore, an own three-axle cross-country lorry of the 3 ton class was developed beginning in 1934. This type was designated Mercedes-Benz LG63. The first three testing vehicles were finished already in 1934. In 1935, further seven vehicles followed. In this time, rearmament of the German army was started in larger scales. The result was, that the so far accepted companies could not produce the demanded quantities of cross-country lorries in the 3 ton class. Finally, the Wehrmacht took notice of the Mercedes-Bent LG63. Serial production of the vehicle, now designated Mercedes-Benz LG3000, started in 1936. 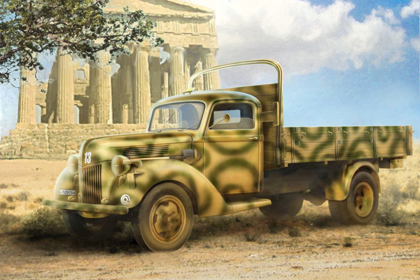 This is the ICM 35411 kit in 1/35 scale, of the ‘German Truck, Ford V3000S – 1941 production’. Approximately 25,000 units of the successor model of the Ford 3 ton lorry model 1939 were manufactured from 1942 to 1945. It differed from the American Ford 3 ton model 1940 by its one piece windshield. The Ford 3 ton model 1941 was made with four-cylinder engine (G188T) and with a V8 engine (G198TS). The model G198TS was designated V3000S by the Wehrmacht. The sales designation of the G188T was B3000. The four-cylinder model, which was exclusively made for the civilian market, was also offered with wood-gas drive (G188TG).